Thursday Thought: Since when is a 70-year-old “Elderly”? We're Boomers. We're alive. We're thriving. We're not dead yet. Recently, I have become aware of newscasters talking about those in accidents / house fires / holdups — all being labeled “elderly.” At the ripe old age of maybe 70. When I was a little kid, yes, I’m sure I thought 70 was “old.” Heck, I’m sure I thought 20 was old. Our parents retired at 60+/-, proud to be able to kick back and do NOTHING, and if they were lucky, they lived another 10 years (my dad died at 71). And honestly, they were elderly in many ways. Being shut out of the workforce, not having a reason to get up every morning and DO something important, and just lying around all day ruined their later years in many cases. The old adage of “Use it or lose it” was very true for them. They went from being busy, busy, busy to … not. The concept of a second or third life stage hadn’t occurred yet, reinventing themselves wasn’t a concept they would have understood, and their lives were much shorter than ours are today, or our kids’ will be for them. Even though we joke about 50 being the new 30, and 70 being the new 50, there’s still a lot of truth in it. We take much better care of ourselves than our parents did, partly because we know so much more about successful aging. We know about the right foods to eat. We know the importance of regular exercise for the mind and the body. We have much better medical care in most cases. We know that social isolation makes aging much more difficult, so we connect more. And of course there’s the Internet, which allows us to learn anything we want to, without necessarily leaving our home! Many of us Boomers put in our 30+ years in the regular 9-5 work world, and then we reinvented ourselves along the lines of things we’d always hoped to do. That’s not what most of our parents did or would have even considered doing, right? Many of us found activities that help us stay active like teaching yoga, working abroad, becoming an entrepreneur (like the Grammar Goddess), getting a college degree — activities to keep us “young” for the next 30-40 years that we expect to live. Activities that give our lives purpose. Activities that keep us alive in the best sense of the word. 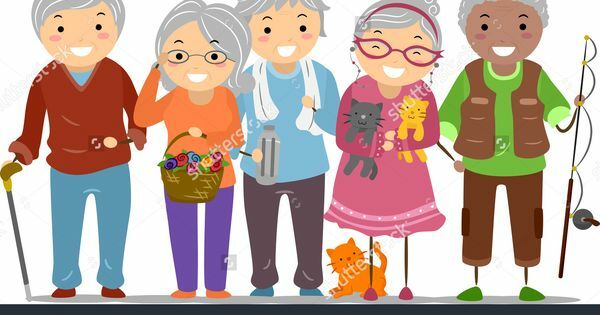 A good friend, Beth Sobiloff, even started Two Grannies on the Road a few years ago with Ginny Just to find, interview, and celebrate older Americans who plan to live to a ripe old age with vigor. Who are not taking this aging thing lying down. Who are active, energetic, and still relevant into their 90s — maybe older. They have interviewed a wide variety of “elders,” and their video interviews are on YouTube. Now, don’t get me wrong: Growing older does have its aches and pains. Body parts sometimes argue with the mind that wants the body to run! Walk? OK, crawl. But there are pain relievers for a reason, and on slower days, we still walk. We plot. We plan. We execute. We share the laughter about it all, and we get on with it. So when I hear announcers call a 70-year-old driver elderly, I want to scream. Let’s recognize our seniors for what we are: strong people who are still hanging in. Still hanging on. Still interested in our world, the one we helped to create and the one we’re still very involved in and fascinated by! How will you celebrate your next birthday? No matter what it is, it’ll be new to you. What have you done as an older person to stay relevant? Did you reinvent yourself? Please share your experiences here. If this post made you laugh, cry, or want to scream — please share it with your connections. Let’s be sure to have wonderful conversations about this issue and any others that affect our society today. You can find all my other posts on my website, GrammarGoddess.com. I help authors of anything business-related shine by finding and correcting their typos before they publish. My clients, who are bloggers, best-selling authors, web content creators, ghostwriters, even professional résumé writers, write nonfiction books, annual reports, blog posts, and tech articles. Their articles have appeared in a wide range of publications and venues including CNBC, Huffington Post, Inc., Forbes, and regional magazines. My only goal is to help all writers look and sound as smart as they are!